In an office building, at home, or a retail setting. Wherever you need protection, our security products provide you with smarter solutions, taking your security to new heights. Your home should be a place where you and your family feel safe and comfortabe. Our integrated and scalable solutions are designed to reduce the stress and wories of home management so you can relax from today's busy life styles in a safe, cozy, convenient and inviting home. At the core of every system is a rock solid, UL listed, intrusion and fire detection system with many years of successful protection nationwide for home and condo owners and apartment renters. Enhanced electronics provides you with immediate awareness of alerts, notifications and any monitored violation. Whether a door, window or garage door opens, a glass breaks, motion is detected, water is sensed or a temperature is too high or too low you know immediately. Wireless mobile applications enable you to monitor and control you business or home, in real time, from anywhere in the world. You know exactly what is happening immediately and you can take action. You have instant camera views, and sensor, detector and alarm statuses for all areas of your property. Complete situational awareness, management and control of your business, home and property. Manage and control any electronic device in your business, home or on your property. 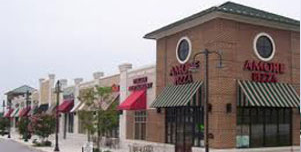 Lights, heating and air-conditioning, window coverings, appliances, TVs, stereos, computers, game consoles, coffee pots, washers, dryers, hot tube, sona, pool, gates, water features, irrigation etc. Integrate all systems and make managing you home simple, easy and convenient. Automate most tasks to leave you free to benefit and enjoy your free time. Begin with the size system that address your needs and interests. Now feel free to modify, change and grow your system to match your business, home or lifestyle. We provide systems that fit your needs and grow with it, as simple or as enhanced as you wish. That way you can taylor you costs with your benefits and feel free to adjust as needed. Since our integration allows for almost any requirement to be satisfied, you have an investment that can be managed and taylored and your benefits match you investment. Now focus on what you want and how you wish your space to accomodate you. Finally, a space that serves you. Turning things on and off, managing temperatures to accomodate your busy lifestyles and making sure that you minimize your utility costs should be automatic. Energy and time savings easily compensate you for your freedom and convenience. And the additional security and safety features, of automation, can reduce potential intrusions. Do you have sensitive areas in your building? 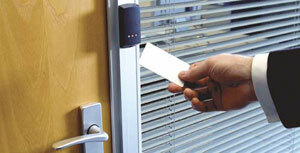 Door access control allows you to monitor and control who can and is accessing these parts of your building. EZ-Integration has solutions enabling you to integrate your security and door access systems. No waiting for a call from a monitoring company. Our system can automatically notify you via text message, email and voice message the instant any monitored activity or security event happens. 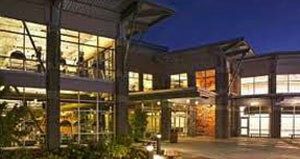 Take charge with a security system from EZ-Integration.